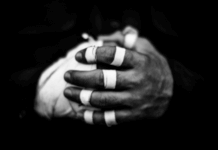 When training with BJJ, it is ideal to know your limits and how to exceed them but sometimes that limit might be too much for others who train with you. So, in order to test your full might, you can use a grappling dummy. 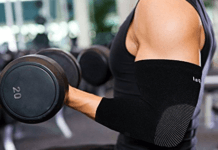 They are great if you want to practice your moves over and over without having the fear of injuring your partner or you don’t have time to go to BJJ classes. 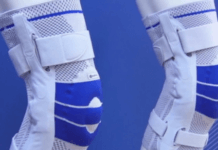 Grappling Dummies weigh as much as a human and their limbs can be adjusted; thus, they allow you to practice more severe moves without hesitation and help bolster your precision when performing them. However, a dummy can’t offer you the same level of experience as training with an actual human. 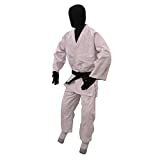 There are also a variety of dummies, each one designed for a different thing, for example, you have dummies for striking, some for grappling and some simply for ground takedowns. 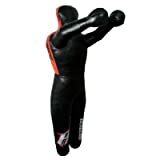 Some of the best grappling Dummy options available are given below. The Revgear training dummy has been used as common training tool by many BJJ gyms. 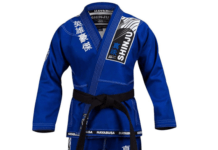 It is a versatile dummy that can help you in training with takedowns, strikes or throws as we can see from the handles and extra grips in its sides. It is made out of triply-ply synthetic leather that is stitched with nylon; this offers great resistant to wear and tear when performing throws. The Century Versys VS.2 is a great tool for practicing your strikes and kicks. The main reason for this is because of its third leg that allows it to stand with stability. 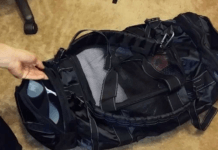 It also has great portability as the three legs can be folded or simply separated from the main body via a zipper at the waistline. It is very easy to set up and is ideal for when you are away and want to practice. It is another great dummy for practicing your strikes and takedowns. Combat sports make sure that you do not pull back your punches as the dummy weighs 90 pounds. It can also be used for grappling purposes but it is best when performing strikes like hard knees, elbows and punches. It has a very durable construction due to the tough nylon stitching and is relatively easy to clean. The Bubba II is a versatile grappling dummy, it can be used to practice strikes and throws but it stands out due to its design to cater to submission moves. The legs are not straight like with many dummies but they are bent enough to offer you a proper posture to practice. It is like a hybrid dummy that can take a lot of strain as it is made with tough and durable construction. 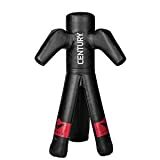 The Celebrita dummy is a flexible dummy which offers a great medium to practice takedowns and grappling moves. You can bend its leg which opens up a variety of wrestling or BJJ techniques you could perform. It is made from Canvas and Artificial leather, which are high quality and durable materials. A feature unique to this dummy is that you can adjust its stiffness by the amount of stuffing material.